He was one the greatest performers of all times. He, the King of Rock and Roll. Elvis Aaron Presley, born on January 8th 1938 in Tupelo, Mississippi. His family moved to Memphis, Tennessee, when he was 13 years old. 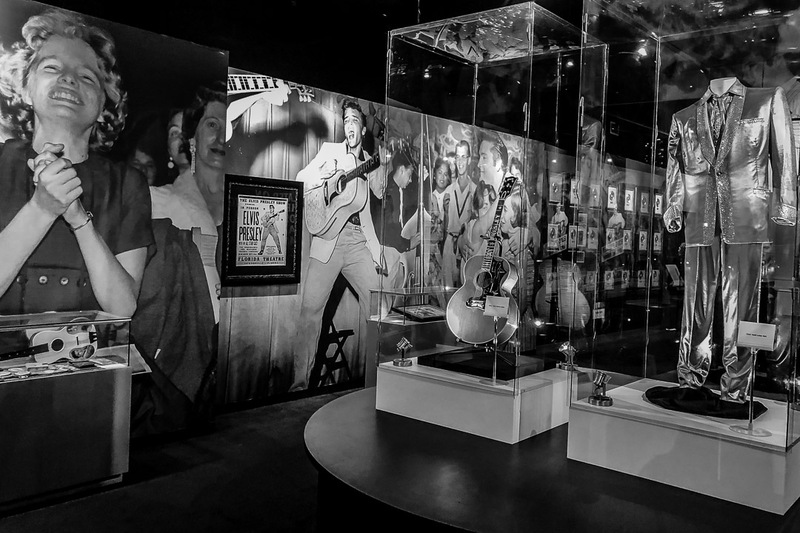 A passionate musician from young years, Elvis Presley pioneered the rockabilly music genre, an uptempo, backbeat-driven fusion of country music and rhythm and blues. His first single “Heartbreak Hotel” became a number one hit in 1956. With regular appearances on TV and in radio shows, Elvis Presley quickly became the leading figure of Rock and Roll. He also started a career as actor, with his first leading role coming in “Love Me Tender” in 1958. This was also the year he bought Graceland Mansion outside Memphis, Tennessee, the home for him and his family until his death in 1977. During his short but stellar career, he published 24 albums, 17 soundtrack albums to his films, and he played in 33 movies.